When planning a wedding, sometimes we just focus on preparing the wedding gowns for bridesmaid. No bridesmaid dresses are complete without the complementing shoes. Do you agree with that? Bridesmaid shoes for women should be well-selected to match the style of the bridesmaid’s dresses. First of all, you must determine the style of the shoes. Just like shoes in general, bridesmaid shoes are also available in numerous styles from traditional pump strappy shoes. When deciding the shoes type, you should match it with the dress. Aside from the style, the color of the shoes is also another important thing to pay attention. You can think about shoes with similar shade as the dress. But, many people prefer to neutral colored shoes because these shoes can be worn in other occasions. After you have decided what kind of shoes you want to buy, look for additional ideas. Browse online as internet serves countless ideas for you. There are a lot of online bridal shoe stores. These stores sell a variety of bridesmaid shoes for women. One of the favorite sites to go is myglassslipper.com. This site is very popular since it offers a huge selection of bridesmaid shoes within every budget. 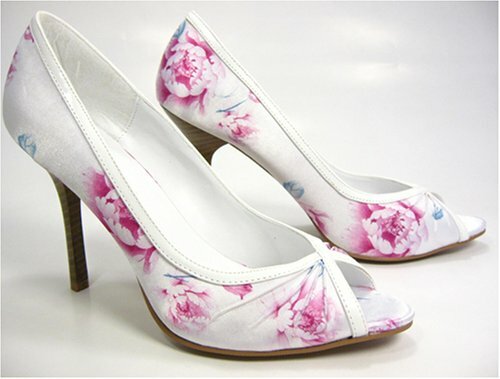 Bridal shoes here are available in a wide range or color, height, and designer. Famous designer bridal shoes include Diane Lynn, Martinez Valero, Something Blue, and Benjamin Adams. The original price of these designer shoes may be expensive. But they often offer big discount, until 50% off. So, don’t miss it. Spend more time in front of you computer and it is very likely that you will get the discount. Usually if you buy many pairs of shoes, you can get bigger discount. Don’t forget to check the sizes available. For those who like to shop onsite, check some retail stores such as Saks Fifth Avenue, Macys, and Nordstrom. These retail stores have an extensive designer shoe department. The discount is usually big there. 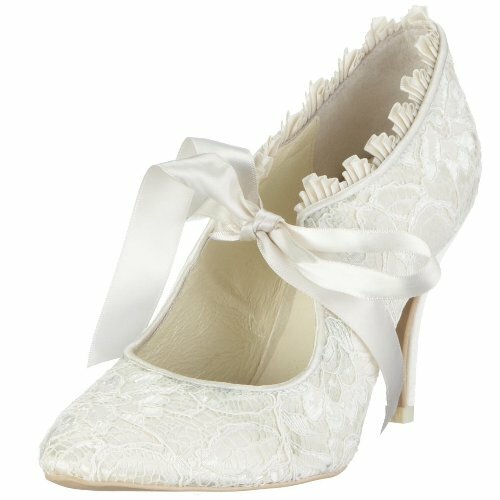 Some outlets may also have great collections of bridal shoes. 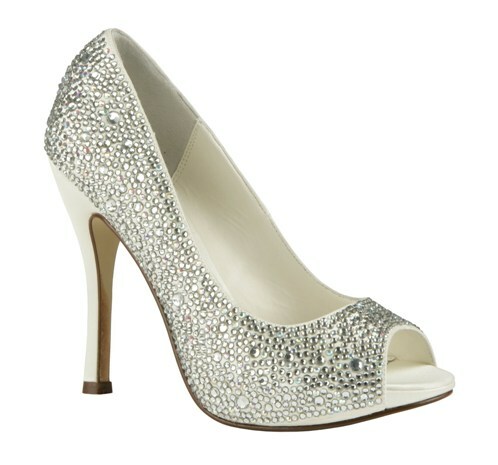 Stuart Weitzman Outlet and Nordstrom’s the Rack, for example, offer bridesmaid shoes for women in competitive prices. If you have much time, just visit any outlets in your area. There are some additional tips to shop for bridesmaid shoes. First, gain information from the bridesmaid on the size of their shoes. Second, do shopping at least two weeks before the wedding especially if you buy online. It may take days to get the shoes delivered.